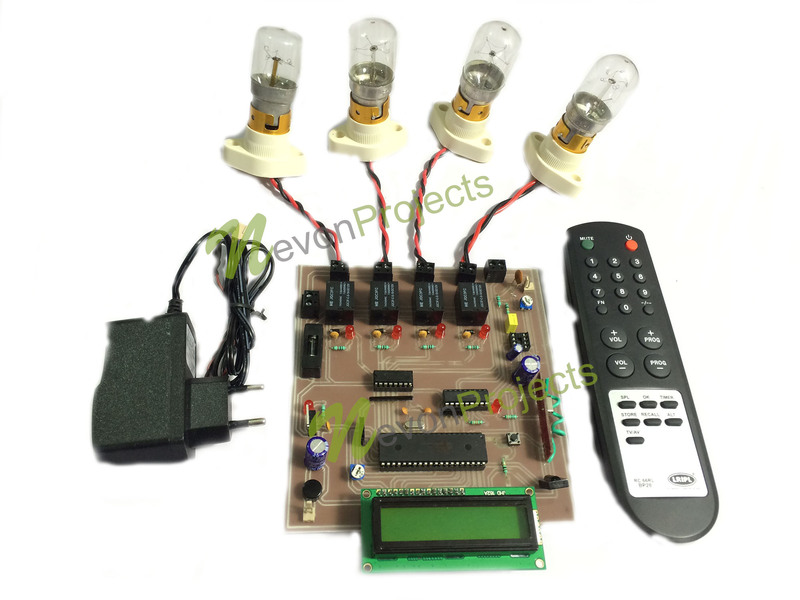 TV remote controlled home appliances project is designed to operate electrical loads using TV remote. The remote transmits infrared coded data which is received by the sensor interfaced in the control unit. The system operates the electrical loads on the command transmitted from the TV remote. 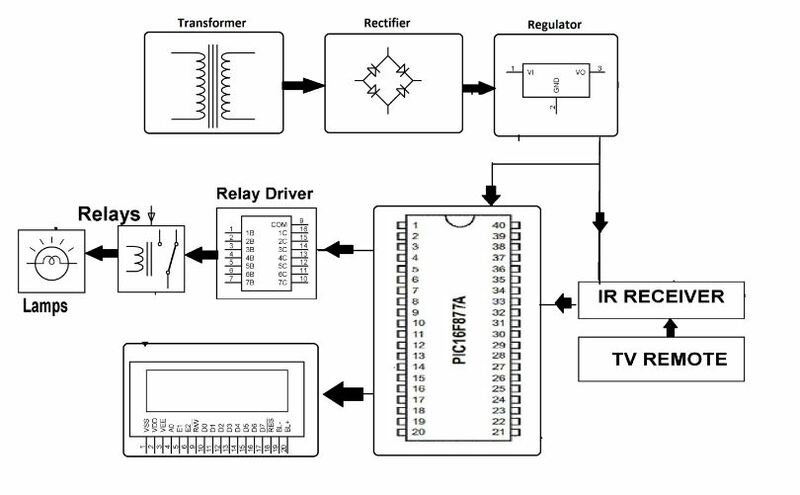 RC5 based coded data is sent for the TV remote is received by an IR receiver interfaces to the PIC microcontroller. 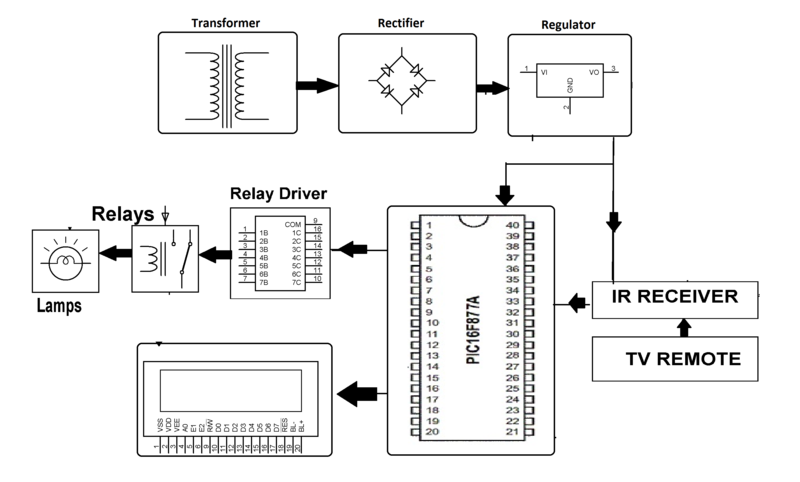 The program on the microcontroller refers the RC5 code to generate respective output based on the input data to operate a set of relays through a relay driver IC. The main aim of this system is to use it in existing domestic area for operating the loads through the conventional switches or the TV remote. This system can be enhanced by using radio frequency technology where the operational range will be independent of line of sight distance with IR type of remote control. This system resolves the problem by combining house hold appliances to control unit which will be operated by a TV remote.